Have a wedding to shop for but a bank balance that doesn’t agree? Don’t worry, with this handy guide, you’ll be able to get your wedding wardrobe ready within a budget. All that you need to do is head to Lokhandwala market asap! If you’re looking for designer suits complete with laces, patchwork and all that jazz, you’ve come to the right place! This shop has some of the loveliest Pakistani suits that we’re quite sure would be showstoppers at the wedding you’re going to attend. A majority of their collection is casual wear, but the festive wear does fall under a budget and we love it! We’re big fans of the fresh designs, the trendy prints and comfortable materials. Check out their anarkalis if you’re looking for outfit inspo for the next wedding. The fabrics here will definitely catch your eye, and we think it’s a great idea to stop by to choose the best print for your next wedding outfit. But it’s the Pakistani suits that have our hearts. #LBBTip – Don’t come here alone because they don’t let you take pictures of the fabrics. You might want to get along your gang of girls for consultation. If you’re all about keeping it normcore, elegant and classy, check out the stuff at Vintage Earth because we know you’re gonna love what you see. Trendy designs, floral patterns, bright colors make the clothes stand out, and we love the collection of palazzo pants and skirts that we can mix and match with the kurtis to have our wedding outfits in place. 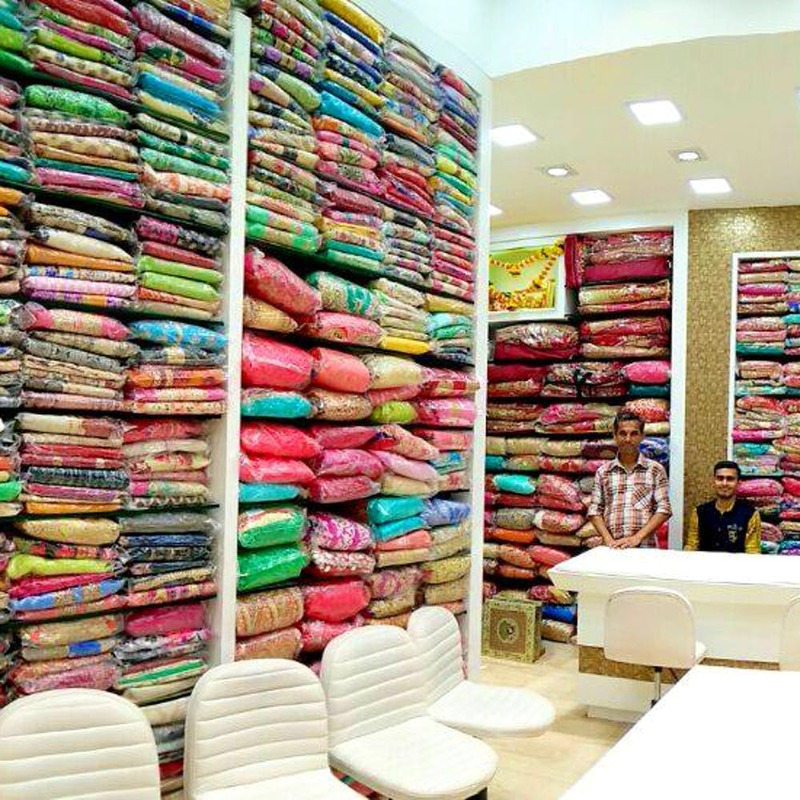 If you love saris, this is the only place you need to check out in Lokhandwala market. This is a treasure-trove of natural and handwoven fabrics, and we’re total fans of the Maheshwari sari collection. Plus they’re all hand-woven! This is a hotspot for wedding shopping, and for good reason. From bridal lehengas to anarkalis and shararas, they have the best designs in all the trending colours and prints. #LBBTip – They also allow you to place an order online.